Already stars in Europe and their native England, pandemonium ensued upon the Beatles' arrival in the United States in 1964. 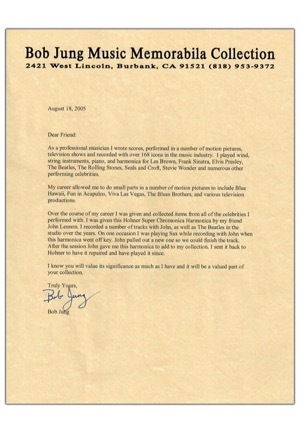 With 17 number one hits, the Beatles changed the face of popular music forever. 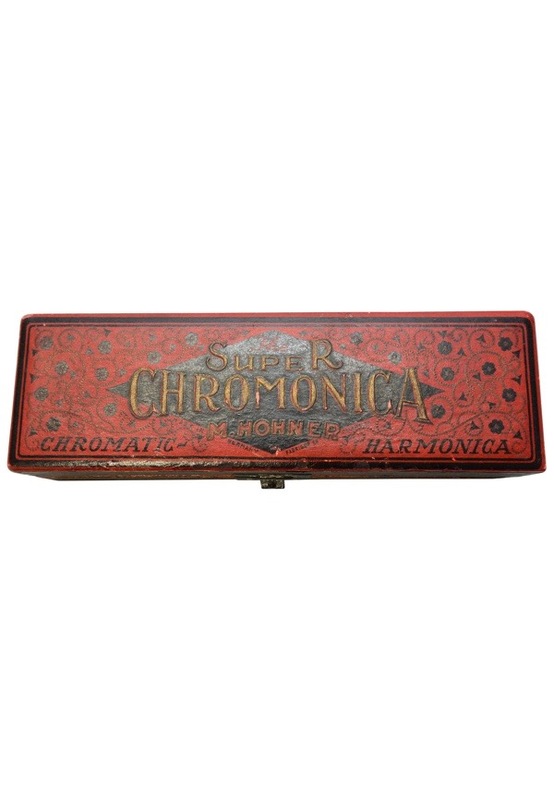 A Super Chromonica harmonica made by M. Hohner Germany, owned and played by John Lennon. 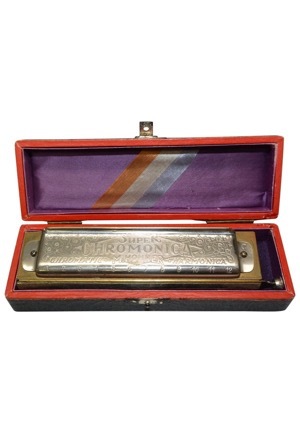 The harmonica’s case is included. 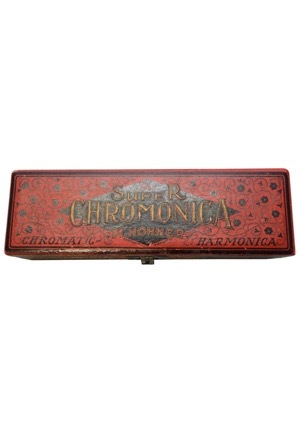 Accompanied by a LOA from Bob Jung stating “I was given this Hohner Super Chromonica Harmonica by my friend John Lennon. 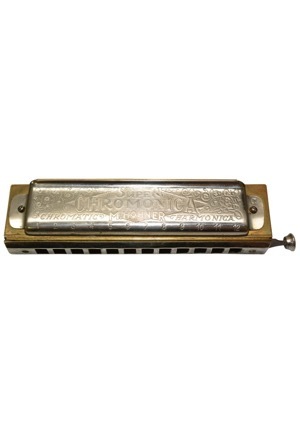 On one occasion I was playing Sax while recording with John when this harmonica went off key. 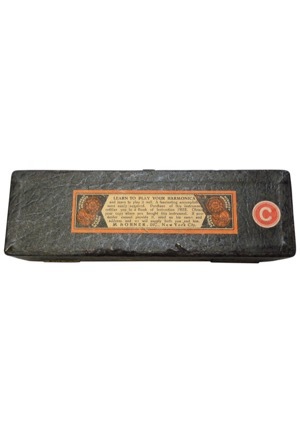 John pulled out a new one and after the session John gave me this. 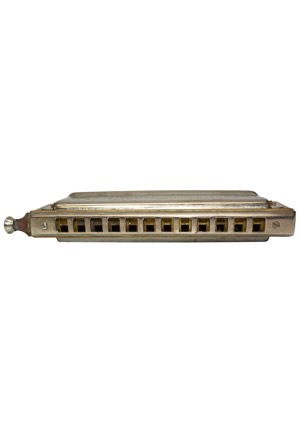 I sent it back to Hohner to have it repaired and have played it since”.